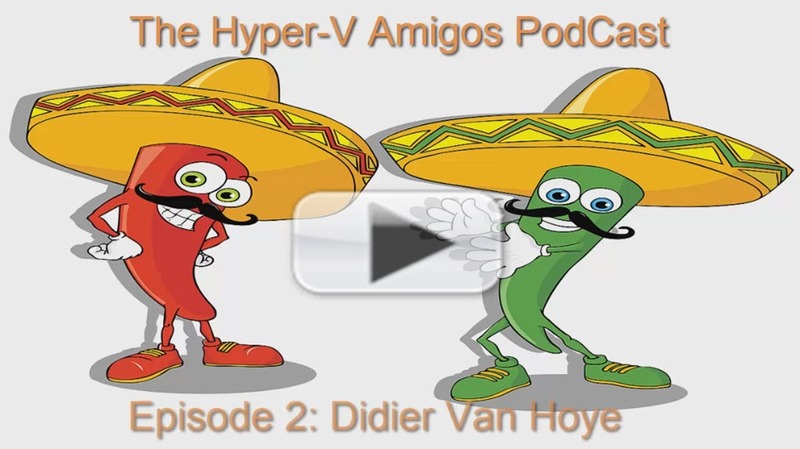 In this Episode I talk with my Hyper-V Amigos buddy Didier Van Hoye. Like me Didier is a Microsoft Cloud and Datacenter Management MVP and just received his fifth award. Hear Didier talk about his passion, when he started in computing, what it means to be an MVP and so many more things. I hope you enjoy the podcast like I did. My friend Didier and I were two weeks in the US to attend two great events – the VeeamON Conference at the end of October in Las Vegas and the Microsoft MVP Summit at the beginning of November in Redmond. Between those two exiting weeks Didier and I visited the Grand Canyon. Boy is this hole in the ground impressive. So we decided to make a video in front of this beautiful nature and of course talk about technical stuff. Because the view is so great we went to three different places to get the different angles on the Canyon. Listen to us talking about VeeamON (till 9:17) and different Windows Server 2016 features. We wish you as much fun as we had making this video.